Any seasoned gamer knows well that when it comes to gaming, processing power is the central ingredient. Nothing performs well than a well authored and assembled PC. However, the well-designed gaming computers cost hundreds to well thousands of dollars. This should not be the case it they lock out the lovers of the game with the price. There is an excellent and cheaper way of attaining your gaming needs and interests with below $500. In this article, I walk you through on what you need to assemble a powerful gaming machine that will be dope and revolutionary with a budget of roughly $500. There are many downsides of tailor made and off the shelf computers when it comes to gaming. Key among them are processing power and resolution. However, when building your gaming PC, there are many variables that you can account for and tailor them to meet your needs. Here I give you a review of some of the reasons you should consider building your PC. Nothing feels as good as an achievement. One major reason you should consider building your gaming PC is that it is you who will be doing the work. You have the chance to brag to be a nerd, a chance to shine and tell your friends of your technical achievements. It is fun telling people you are building your PC, and you will appear cool and informed. When you decide to build your PC, you will get exactly what you want. You will be both the engineer and the manager. This means that you will be able to stay within the confines of your budget and get the best out of every buck you put in buying the components. You will have the chance to decide what screen you want, the graphics card to acquire and tailor this requirement to meet your needs while still maintaining your budget. When it comes to assembling your PC, you are not limited to one vendor. You can shop around to ensure you get the best deals regarding price and quality. What’s more? Nothing feels as good as knowing you are in complete control. 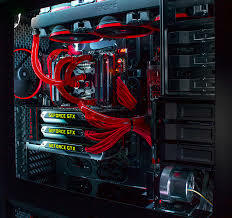 You will have the opportunity to build your PC within your project time frame and with the guidance of online PC guides and YouTube users who will show you how to assemble the different parts. This will be a technical and practical experience of a lifetime, and the fulfillment will be attained by powering your PC and gaming like a pro. Choosing gaming components are critical as they will be the result of your final machine. Key among them is the graphics card. If you need the best resolution and the latest games, it is essential to acquire the best graphics card as it will do most of the work. Other key components are the CPU, memory, and the processor. The section below we review some of the best components you should consider acquiring to build a PC below $500. With just $80, you will get a multi-core processor with free shipping. This processor will enable handling parallel tasks at a time with its superior multi-tasking which is key for complex games. The processor will ensure your game never hangs, and its energy efficiency will save on your consumption of hours of gaming. Coupled with an HD graphics card, this processor is next gen and will deliver a vivid visual experience at an affordable price. Quality and reliability are key when choosing the motherboard. The ASUS ATX promises this with its all-round protection that has a 5X endurance. Unlike traditional motherboards, the ATX offers a USB 3.0 boost that will make the transfer of your files lightning fast. Unlike traditional motherboards, you get the chance to upgrade with the latest UEFI BIOS that is mounted on the A88X chipset. The price of the ASUS Micro ATX DDR3 2400 NA Motherboard A88XM-E is within the projected budget of staying below $500 as it is just $80 with free shipping. This desktop offers a lifetime warranty. There is no tailor made PC you will ever get this! It is compatible with various speed which means you get to play different games that have different framesets without having to worry about losing the resolution and clarity of the game. For just $30 you get free shipping, and you get to choose the color you want. The PNY Anarchy 8GB DDR 3 desktop memory is the best deal you will get in the market. With this hard drive, you will never worry about memory any time soon. With a third-gen SATA interface that supports a 6GB/s transfer rate, the drive guarantees solid performance. Besides, a quiet and cool performance will also be provided by the drive for just $50 and free shipment and a two-year warranty. This card guarantees more performance which will suite your gaming needs. Less noise and heat is provided and supports stronger funs keeping the graphics card cooler such that no matter how much you game, your PC will not overheat. For just $195 the V-card will rhyme well with the selected motherboard giving you gaming power at your fingertips. Maintain elegance, design, and style. Choosing this series for just $50 will ensure up to 5 mounts of USB 3.0 and SSD support with the possibility of expansion. The case is elegant and functional with excellent cooling, and there is a direct customer support. With up to three years warranty, this device offers unbeatable value coupled with technical support and over and under voltage protection. Trusted by PC builders especially when it comes to gaming systems, the device is quite and intelligent and will cost a mere $30 with free shipping. With this devices, you are ready to venture into building your first next-gen gaming platform that will cost you below $500. What else can a gamer ask for? Assembling a PC this powerful and intelligent will be your ultimate achievement and you will game your way to unlimited entertainment. Does Chaucer's "The Miller's Tale" use humor? What kind of humor is it? Be specific, and explain whether you found the humor effective or not. Are cellular phones dangerous to our society? Compare and contrast President Wilson's and FDR's reasons for neutrality prior to American involvement in the First and Second World. design and other behavioral sciences. Should a graduating college senior be required to pass a comprehensive examination in his or her major before receiving a degree? there is an issue with a conflict in the file what does this mean? How do you solve it? Why does Woolf close To the lighthouse with the word “Vision”? Will the Internet bring people of the world closer together?